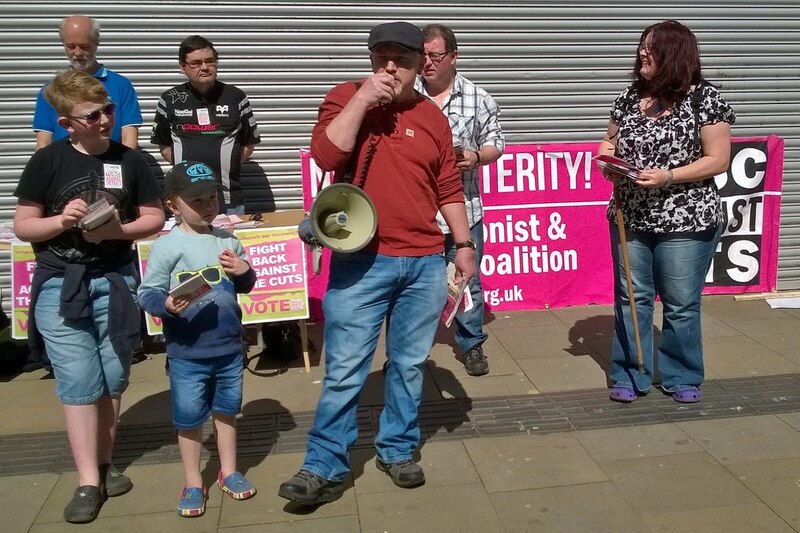 Swansea Trade Unionist and Socialist Coalition (TUSC): TUSC says protect our environment! In this General Election the mainstream parties have largely ignored the question of the environment and climate change. The Tories have decided to drop what Cameron has been alleged to have called the "green crap" because when measures to tackle climate change come up against protection of the bosses' profits the environment loses out every time. The Socialist paper this week published an article about BP which illustrates perfectly how, under capitalism, profit overrides both people's needs and the environment's. In 2003, recognising the growing global awareness of the acuteness of climate change, BP attempted a 'green' re-brand, with the slogan 'Beyond Petroleum'. They announced investment into diversification from fossil fuels, partly for good PR and partly to chase after government subsidies for renewables. The financial crash in 2008 changed all that. Government subsidies were cut and BP shelved most of their work on renewable energy. They chose instead to pursue new extremely environmentally destructive options, like tar sands extraction in Canada. For private corporations like BP shareholders come before populations and the planet. The Trades Unionist and Socialist Coalition recognises the urgency of acting immediately to slow and ultimately halt further climate change but we have no faith in governments of the established parties to regulate for environmental protection or in big business to self-regulate. • Deep cuts in greenhouse gas emissions – otherwise climate change, caused by capitalism, will destroy us. • Invest in publicly-owned and controlled renewable energy. Oppose fracking. • Move to sustainable, low-pollution industry and farming – stop the pollution that is destroying our environment. No to profit-driven GM technology. • Produce for need, not profit, and design goods for reuse and recycling. (from TUSC General Election 2015 platform). TUSC is in favour of taking the energy and other utilities into democratic public ownership and the rail network as part of a publicly owned, sustainable transport network. When workers in these industries and local communities have control then planning can take place for need and not for profit and big business won't be able to vandalise local environments for quick profits. If you want to know more about my views on climate change and defending our environment then check out the regular features in the Socialist paper on these issues.